According to Sofia News Agency, Bulgarian defence minister Nikolay Nenchev announced that Bulgaria was planing to spend up to $477.80 million to procure two multi purpose warships. The procurement cost, which comprises armaments, equipment and communication systems for the ships, could be one-third lower if the vessels were built in Bulgaria, Nenchev said during a visit to the Black Sea city of Varna on Thursday, according to a statement of the Defence Ministry. “Within three-and-a half to six years the Navy will have two completed vessels,” Nenchev said. The project will be submitted to Parliament in the next few days and the lawmakers are expected to approve it by the end of May, Nenchev added. Preliminary talks have already been held with EU and NATO member states about potential acquisition of patrol ships, according to the statement. It is the high time for Bulgaria to invest in new warships to protect her interests in the Black Sea. 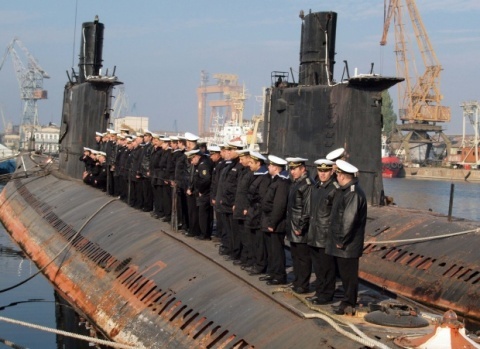 The Bulgarian Navy has terminated its submarine service after 94 years and decommissioned her sole submarine in 2011. The 3 Wielingen class frigates and one Tripartite class mine hunter all bought from Belgium are the only new warships commissioned into naval service since the end of the Cold War. Thus around the year 2022 when the above mentioned two new warships are commissioned, the 3 Wielingen frigates Drazki, Verni and Gordi will be almost 45 years old. I do not think Turkey’s burgeoning naval ship building industry despite its close geographical location will have much chance to win the bid for these ships. French, Dutch or German companies may have an advantage here. 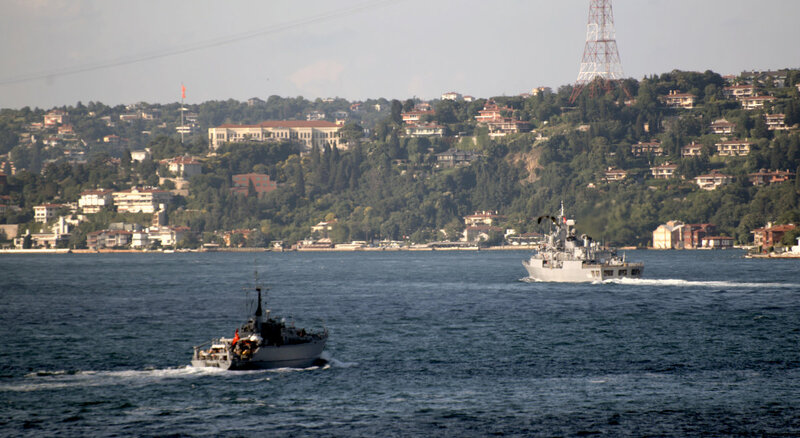 TCG Enez (left) and TCG Barbaros (right) on their way to Varna. Both are taking part in Breeze 2015 exercise with NATO SNMCMG-2 task force. Bulgaria is hosting Breeze 2015 naval exercise from 3 to 12 July 2015. According to Bulgarian minisry of Defence 30 warships from Bulgaria, Greece, Romania, Turkey and USA will take part. Bulgaian Navy will contribute with 15 combat and auxiliary ships and boats, two helicopters and more than 1,000 personnel. The main objective of the exercise is to improve the interoperability and interaction between the Navy included therein countries by practicing their participation in Operation in response to the crisis. Nineteenth edition of “Breeze” will contribute to improving cooperation in multinational environment with 21 state organizations, institutions and agencies from four ministries, local authorities and non-governmental and private organizations. Within the exercise will obtain certification of a ship of the Navy the Republic of Bulgaria – mine hunter “Tsibar” according to the methodology for assessment of NATO MAREVAL. Host of “Breeze 2015” Point is basing Varna Naval Base – Navy. July 6 (Monday) at 15.00. To 18.00. Of foreign warships based at Port Varna and Port Varna will be open to the citizens and visitors. As usual, I have tried to find information about the participants. This is the list as far as I could compiled. In addition to the above mentioned naval units one P-3 Orion from US Navy and one CN-235 from Turkish Navy are also taking part in the exercise. The participants of the Bulgarian Naval exercise Breeze 2013 together in Varna. Photo: Nikolay Zlatev. Used with permission. Turkish submarine TCG Birinci İnönü in Varna. Photo: Nikolay Zlatev. Used with permission. 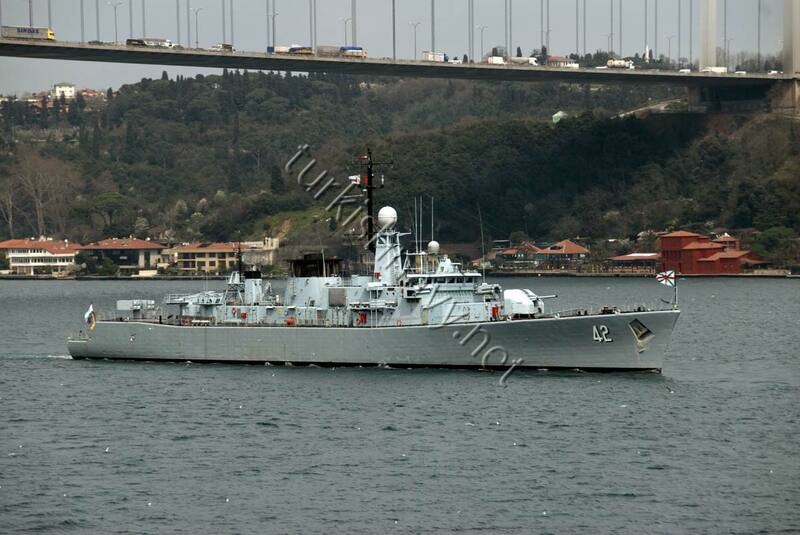 Turkish frigate TCG Salihreis outside of the Spanish frigate Blas De Lezo. Photo: Nikolay Zlatev. Used with permission. Turkish mine sweeper TCG Sığacık outside of the Turkish fast attack craft TCG Bora. Photo: Nikolay Zlatev. Used with permission. Bulgarian mine sweeper Priboy entering the Port of Varna. Photo: Nikolay Zlatev. Used with permission. Mr. Nikolay Zlatev who creates the very informative blog Sea Dog, kindly shared his photos. 158 Tsezar Kunikov, arriving in Varna. Photo Nikolay Zlatev. Used with permission. 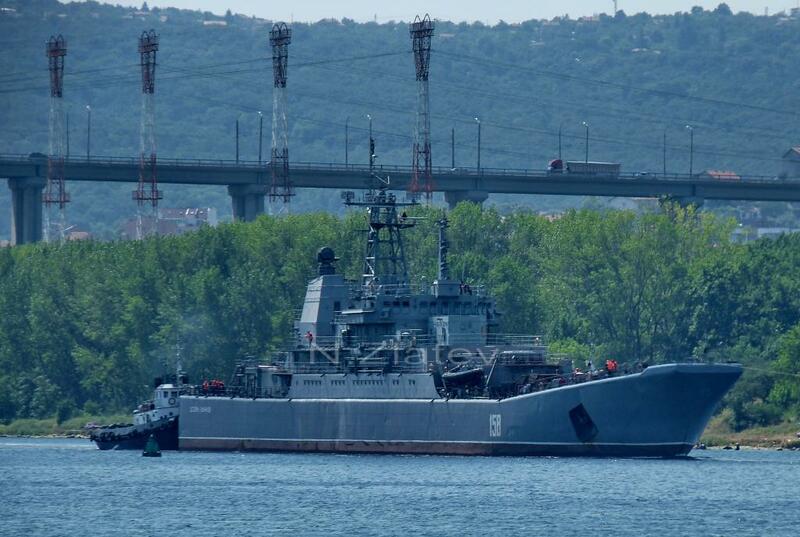 As reported earlier, the Ropucha class large landing ship of the Russian Black Sea Fleet 158 Tsezar Kunikov arrived in Varna, Bulgaria for a refit at Bulgarian Naval shipyard. P-338 TCG Bora will take part in the Bulgarian naval exercise Breeze-2013 in the Black Sea. Bulgarian Naval Forces are hosting an international naval exercise called Breeze 2013 between 6 and 15 July 2013. 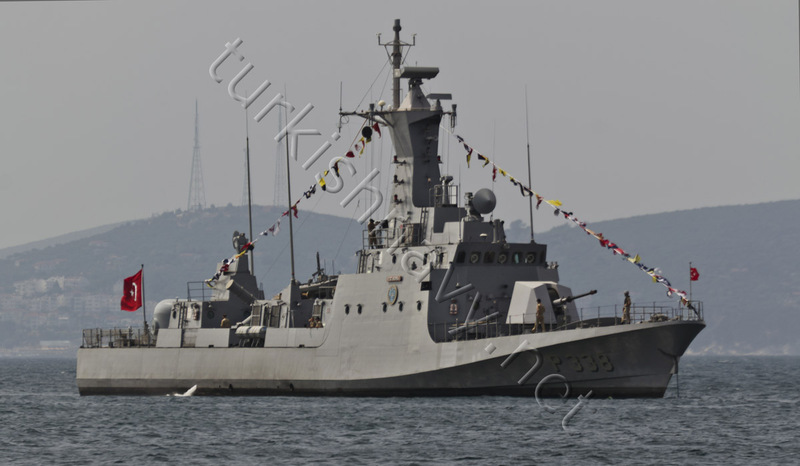 According to Turkish Navy Turkish Gür class (Type 209/1400 Mod) submarine S-360 TCG Birinci İnönü is taking part in the exercise as well as the fast attack craft TCG Bora and the minesweeper TCG Sığacık. NATO’s SNMG-2 will take part in this exercise along with Bulgarian units. As Bulgaria decommissioned its last submarine in 2011 Turkey is the only NATO nation in the Black Sea that can provide submarines for the naval exercises. F-41 BS Drazki during her northbound transit in Bosphorus on 3 June 2011. 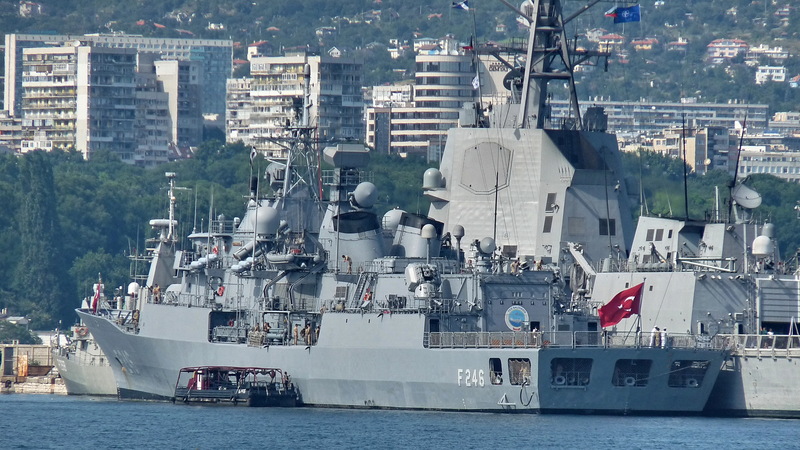 According to the excellent Black Sea News website, The Bulgarian Navy is sending the frigate F-41 BS Drazki to NATO’s Operation Active Endeavor. 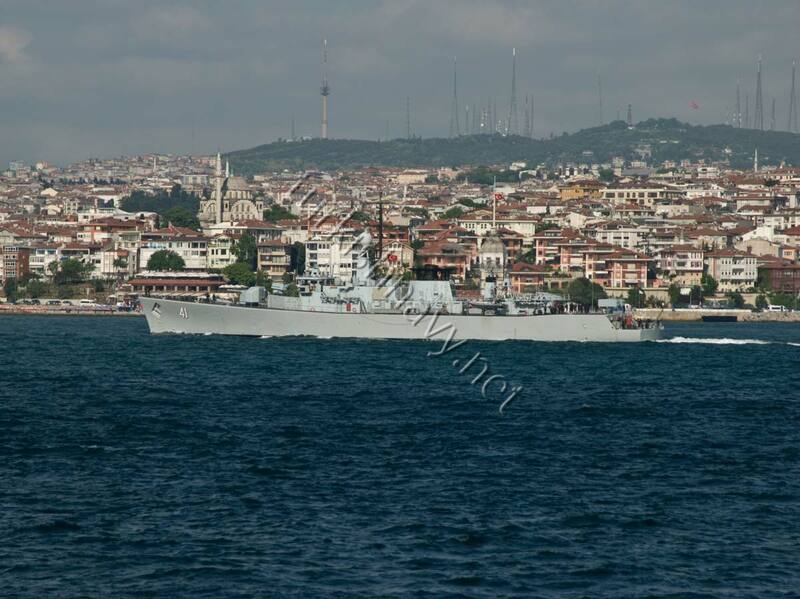 The frigate has left her home port Burgaz Naval base on 5th October 2012 and may have passed through the Bosphorus today. It is not clear however how long this deployment will last. This is not the first time Bulgarian Navy is participating to NATO’s operations but the Bulgarian government found it hard to find the necessary funding for prolonged deployments. Yesterday, just as expected and reported, the last submarine was decommissioned from Bulgarian Navy. The decommissioning of Romeo (Project 633) class BNS Slava means the termination of Bulgaria’s submarine force after 94 years. The Romeo class, derived from the German Type XXI submarine, by Soviet Union in 1950. BNS Slava was given to Bulgarian Navy in 1986. She is well beyond her useful life. If you look to the photo left you will see just standing on her rusty hull is alone an act of courage. The ceremony was attended by Read Admiral Plamen Manushev, Commander-in-Chief of the Bulgarian Navy, navy servicemen, and veterans, reported BGNES. The commander of the submarine division of the Bulgarian Navy Capt. Kamen Kukurov delivered the flag of the Slava submarine to the Varna Museum of Military History. Even though in August 2009, the Bulgarian Navy had an open-door day dedicated to the 55 years since the restoration of its submarine force, a year later the Bulgarian Defense Minister said the Navy will most likely do away with itssubmarine unit, according to Defense Minister Anyu Angelov. The life of the only operational Bulgarian submarine “Slava” (i.e. 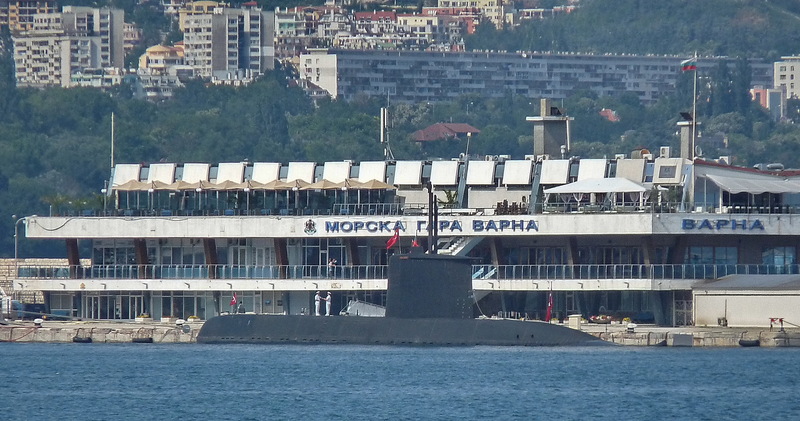 “Glory”) expired, and it is to be retired in the coming months which will mean shutting down altogether Bulgaria’s submarine force. The only other Bulgarian submarine that was operation in the recent years was the Nadezhda (i.e. “Hope”); it has practically been retired for ten years because it lacks a battery. At the beginning of 2009, the Bulgarian Navy considered turning it into a museum. Bulgaria used to operate 4 submarines at the height of the Cold War. I do not believe that submarines will be introduced to Bulgarian Navy in the near future given the economical constratins Bulgarian armed forces are facing. The Bulgarian contribution to NATO’s Operation Unified Protector, the frigate F-41 BS Drazki returned home from Libya. She has left Bulgaria on 28 April 2010 and served 37 days in Mediterranean, patrolling the seas of the coast of Libya. As of the first week of May she was not given the task to inspect cargo ships or fishing boats. Later she has interrogated 46 vessels to check if they are complying to the UN Sanctions against Libya. The Bulgarian government has approved sending a frigate for three months to the Mediterranean Sea to take part in the NATO operation, but the ships will be rotated so that each ship will spend one month in Mediterranean. It is expected that one of her sisters, BS Gordi or BS Verni to replace her. UPDATE: Well, unfortunately my expectations turned out to be wrong. According to Bulgarian news portal novinite.com, with the return of BS Drazki, there will be no other Bulgarian ships off the shores of Libya. 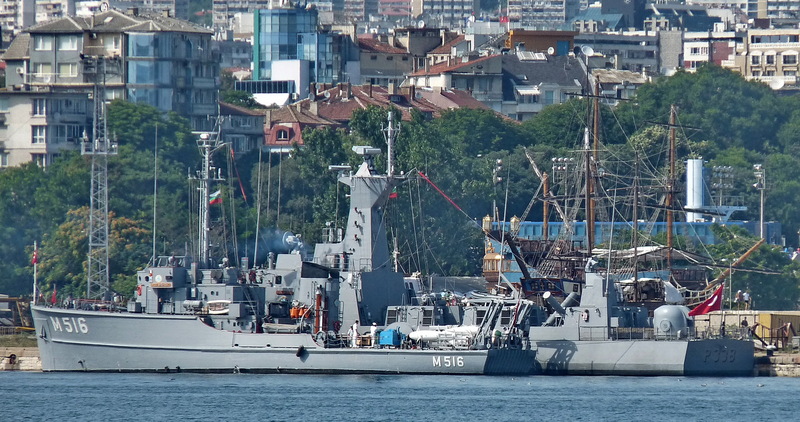 The Bulgarian government approved sending the frigate for three months to the Mediterranean Sea to take part in the NATO operation, but Defense Minister, Anuy Angelvo, announced at the end of May that there is no funding to extend its mission. Somebody should have told them before hand, that joining NATO was an expensive affair.